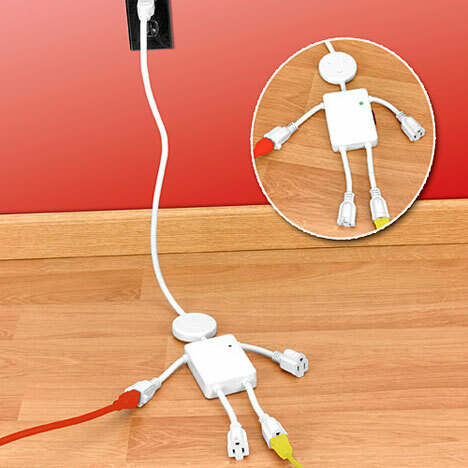 If you ever struggle to fit jumbo-sized power cord plugs into standard power strips (or even wall outlets) – this little guy, called Multiple Outlet Man, has got you covered. 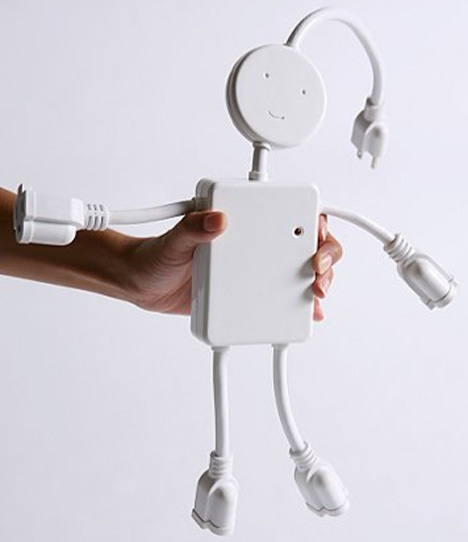 With room to connect up to four bulky adapters simultaneously, Multiple Outlet Man (aka Electric Man) will channel gadget power through his spindly limbs, smilin’ all the while from the buzz. With grounded sockets, a power switch and a 28-inch (71cm) cable, Multiple Outlet Man is available now over at Get Organized for $24.98. His mission? To put an end to outlet obstruction forever. What a guy. Pick a better name next time! I will add your link to the sidebar of my blog as well. Your work actually means a great deal to me, thank you.. Excellent site, where did you come up with the information in this summary? Im pleased I found it though, ill be checking back soon to see what other articles you have.